Thakur limped off with a groin injury after bowling just 10 balls in his Test debut against the Windies in Hyderabad last week. The paceman will play no part in the five-match ODI series, which gets under way in Guwahati on Sunday. 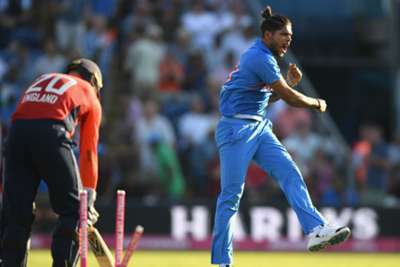 Umesh has been drafted in after claiming his first 10-wicket Test haul in a 10-wicket victory which sealed a 2-0 whitewash. The quick played in two ODI matches during the series defeat against England, but was overlooked for the Asia Cup. Indian squad for first and second ODIs: Virat Kohli (captain), Rohit Sharma, Shikhar Dhawan, KL Rahul, Ambati Rayudu, Manish Pandey, MS Dhoni, Rishabh Pant, Ravindra Jadeja, Yuzvendra Chahal, Kuldeep Yadav, Mohammed Shami, Khaleel Ahmed, Umesh Yadav.